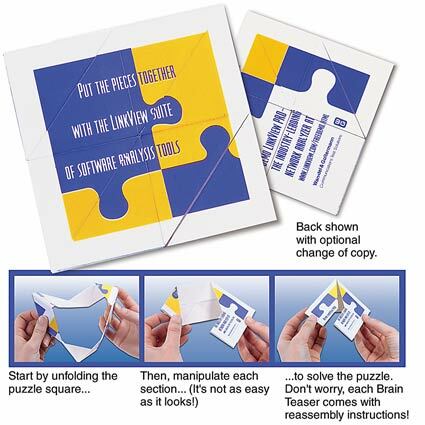 The Brain Teaser Mini Puzzle is a great mailout or tradeshow giveaway. It measures 3 1/4" in size and provides an imprint area of 2 3/4". Minimum order is only 200.